jtwebsterbooks: BACK TO THE GRINDSTONE? Today is the first day of the new school term. Not long ago I waved hubby and all three kids good bye and immediately the silence of the house descended upon me. It's been a long time since the house was this empty. Last year my daughter was home schooled and for the first part of this year my oldest was unemployed. Today he starts a half year hospitality course at polytech. As I drink my morning cuppa, catch up with emails and write this, I'm feeling at a loose end. Oh, there is house work galore and bundles of washing; I need to go for a long overdue walk and then there's the writing. But I think I might just pour anther cup of tea and enjoy the silence for a little longer. Before I nip down to the kitchen again I have a couple of photos to share. 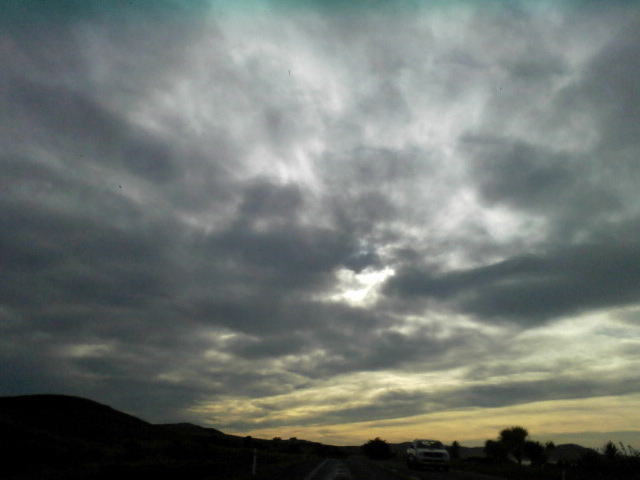 Last week we traveled up to Timaru for the day to visit my aunt. It was a cloudy damp sort of day and the sun never did quite show its face. Just north of Palmerston the road follows close to the ocean along a beautiful yet deserted beach. I busily snapped photos with my phone, fascinated by the lemon light. Don't worry - I wasn't driving! 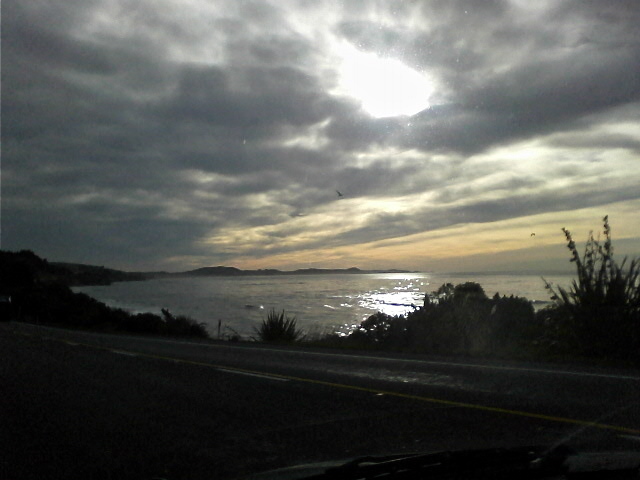 The little fishing village of Moeraki is on the other side of the headland on the horizon. Yes, and it's such a beautiful beach. but we're always passing it by on the way to 'somewhere'. I really must stop and take a walk along it one day. Stunning photos - love the first one, that gap in the clouds and the light coming through, reflecting off the water. I really enjoyed the quiet day, although I did more reading than writing. It always takes me a day or two to settle back into a routine.